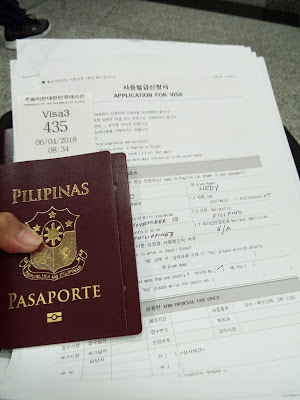 Our family love to travel but Korea is not part of my bucket list pero gaya nga ng sinabi ko kinain ng systema, dahil kahit saan puro Kdrama , Kpop at kung ano anong K ang makikita mo sa social media TV , facebook, Instagram and Youtube.Korea is one of those countries that require a Visa kahit pa Asian tayo we need to secure VISA kung gusto natin pumasok sa Bansa nila. So before you book your flight or your tour package, you have to apply at secure your Korean Visa first. 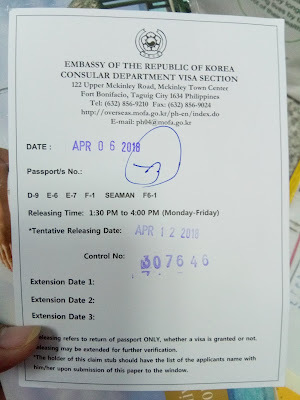 Korean Embassy implemented new and stricter requirements last March 26, 2018 gave us bit stress and scare. 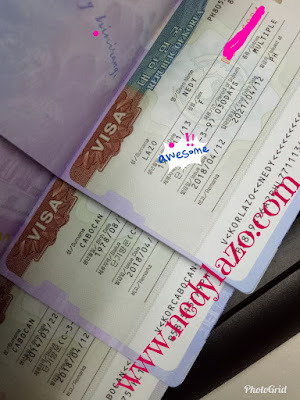 to be honestly wala akong alpha list na dala kasi mababa lang sahod ko , pero nong binasa at inintindi ko uli Alpha list is for the first timer at wala pang Stamp ng OECD country ang passport ang kailangan ng Alpha list since may OECD country na ako na napuntahan nabunutan ako ng tinik sa dibdib. 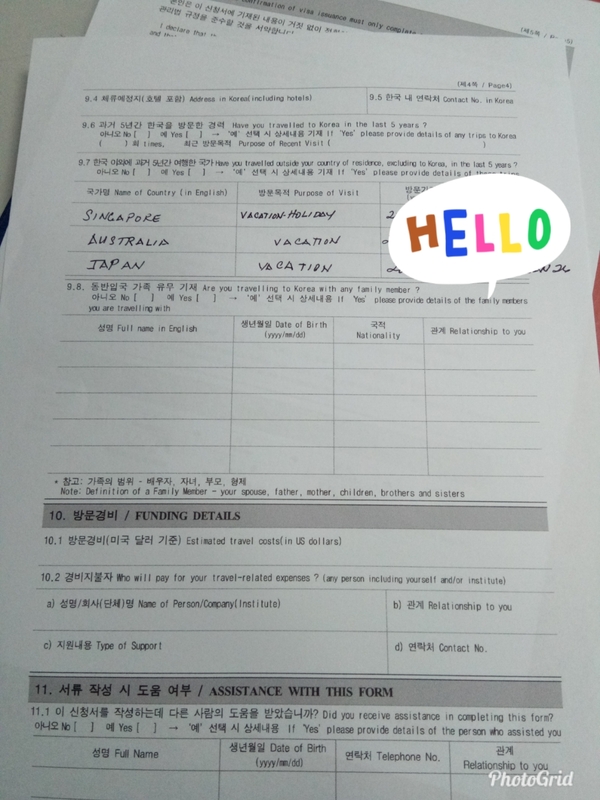 i been to Australia and Japan while my husband and son have Multiple Entry Visa of Japan so exempted ako at yung mag ama ko sa BIR stamp at Alpha list. 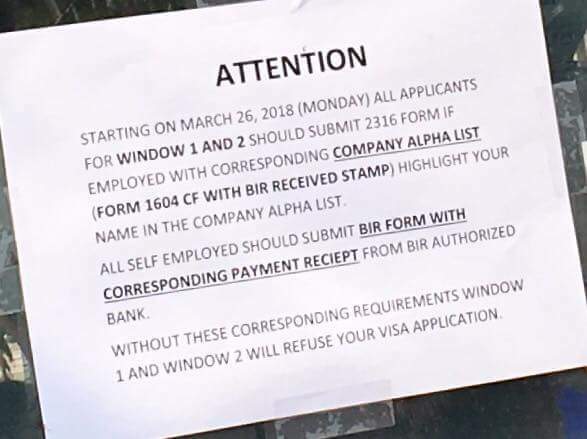 sa mga first timer po na di makakapag provide ng Apha list you can try to submit your letter of explanation pero subject to approval ng Consul. better try wala namang bayad ang apply. 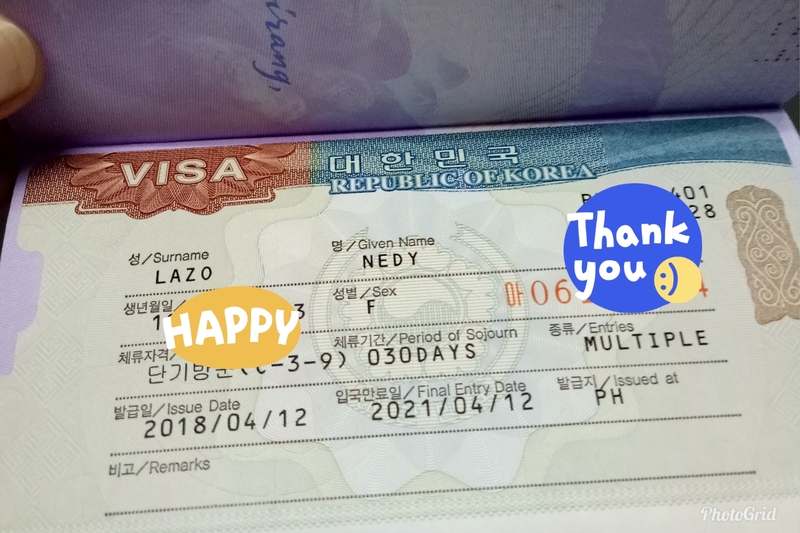 As of now Applying for Korean Visa is FREE and NO Appointment needed, but they already announce due to increased number of temporary visitors visa applicants, in the near future, walk-in applicants will no longer be accepted while only designated travel agencies will be allowed to file temporary visitors visa application. so sa madaling sabi tipid moves sinamantala ko habang pwede pa walk-in at waley bayad. grabe ang aga ko sa Embassy kasi may cut-off sila from 8:30 AM until 11:00 AM every Monday to Friday ang filling. Haba ng pila ng mga visa applicants standing pa inabutan na kami ng sikat ng araw. around 7am kami pinapasok then mag log ka ng name mo sa log book sa guard. after naman makapasok madali na. 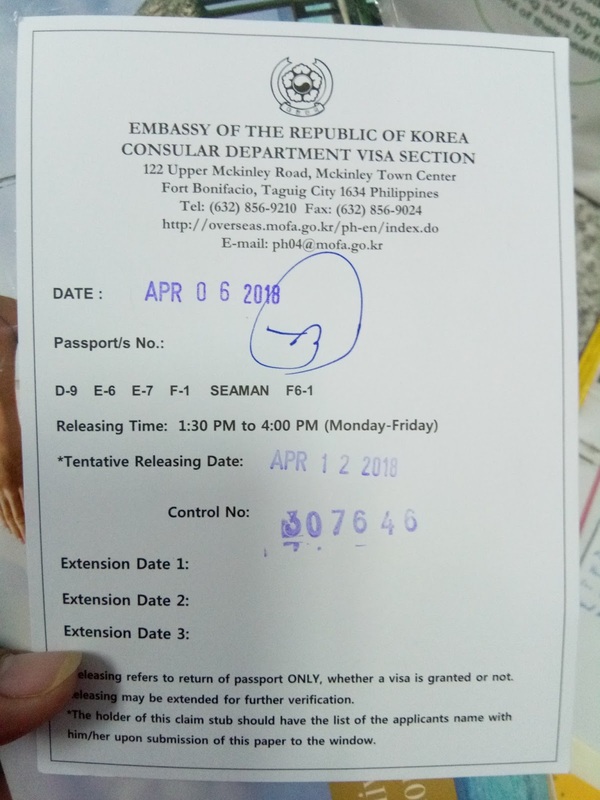 The receptionist gave me a stub with a number they help me also to arrange my documents and told me just wait for my number to be called and then proceed na sa window assigned sa akin and give my documents to the Consul. since Australia and Japan is in the list of OECD country i processed to window 3. the window is for the applicants who have traveled to any OECD country within the last 5 years fast track din ang processing after 3 days ang release ang Visa if ever naman na denied they will return your passport may naka insert na paper reason for denied. AUSTRALIA AUSTRIA BELGIUM CANADA CHILE CZECH REPUBLIC DENMARK ESTONIA FINLAND FRANCE GERMANY GREECE HUNGARY ICELAND IRELAND ISRAEL ITALY JAPAN KOREA LATVIA LUXEMBOURG MEXICO NETHERLANDS NEW ZEALAND NORWAY POLAND PORTUGAL SLOVAK REPUBLIC SLOVENIA SPAIN SWEDEN SWITZERLAND TURKEY UNITED KINGDOM UNITED STATES. for currently employed like me. After I submitted all the required documents to the Consul binigyan ako claim stub which will indicate the date when I can pick up my Passport. make sure keep it safe place. sa case ko ang husband ko ang pumik-up ng passport namin.1:30 pm to 4:00 pm - Releasing of Passports. if ever na ma denied pwede po mag apply uli after 6 month. don’t let that stop you kung talagang gusto nyo makarating ng Korea. YEHEYY!!! we are all granted Multiple Entry Visa , we don't have specifc plan as of now but having a multiple visa gives me peace of mind whenver we plan to go to Korea in near future kasi kung Single Entry mukhang kailangan namin magamit within 3 months. 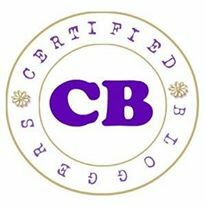 mga besh ,,hindi po ako expert sa Visa ito ay batay lamang sa aking karanasan.